We have a huge collection of garage doors that are major brands in the market with custom wood, aluminum, and steel we can install for you. Our skilled and professional garage door repair technicians can help you to get the right materials, colors, trim package, windows to fill up your need and budget. We can ensure you’ll be satisfied with our service as well as the affordable price. 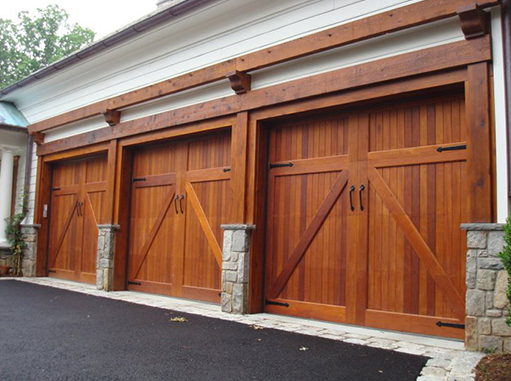 Garage Door Repair Seattletechnicians are well trained, experienced, and certified. Our company has good equipment for garage door repair services. We have trucks staffed with experts who will help to fix up your garage door problem as soon as possible. You will get the service within the same day, just 2 hours after your call! To schedule an appointment, please call us at (206) 569-4778. If you need a new garage door, new garage door opener, new garage door cables, new garage door sensors, then you’ve come to the right place. Garage Door Repair Seattleis an experienced company for the business of residential and commercial garage door installation. We have experience installing thousands of new garage doors in Seattleand other business areas with home owners for over 20 years. We have skilled and quality technicians who have achieved good reputation among the business of home owners around Seattle. We understand your need, and we offer a good selection of designs, and parts for your satisfaction. We offer things which are affordable. We believe in quality work and that’s why we offer you things that’s required with a cheap rate. Selecting and fixing a new garage door opener is very easy. It should be a 1-2-3 step. Our company has informational packets for you, which can help you get a clear view about the different types of garage door openers. After that you will be able to recognize the difference between different types of openers. Let us help you become acquainted with the three kinds of garage door openers that are available in the market today. There are actually two kinds of springs that we mainly used for your garage door. The extension springs and garage door torsion springs, have a slight difference from one another. Garage Door Extension springs are used for the side of the garage door track with doors that’s much lighter. Garage Door Torsion springs are usually placed above the opening of the door and they’re very good for heavier doors. The best and most effective way to determine which spring of garage door is needed is to have a garage door repair service mechanic take a look at the system of your door. Besides the new spring installations of garage doors, you should keep in mind that we are able to repair them when they snap or wear down for any circumstances. Our company garage door repair Seattledoes not recommend anyone without experience to try to repair their own door. Because of heavy tension on the springs of the garage door, it could be dangerous if you do not have the proper training or professional experience with garage doors. It would be a better decision if you leave the responsibility of repair, replacement, installations and other things to experienced, certified, and licensed technicians.